I teach Food for Life classes and have a diabetes series underway right now. I've not taught the diabetes classes before so am preparing the dishes for us to fine tune. The pasta has a number of vegetables, such as onion, garlic, celery, and carrot, as well as basil, caper, and diced tomato. The broccoli salad includes, after being peeled, the stalk cut into small cubes, but also some vegan mayonnaise. 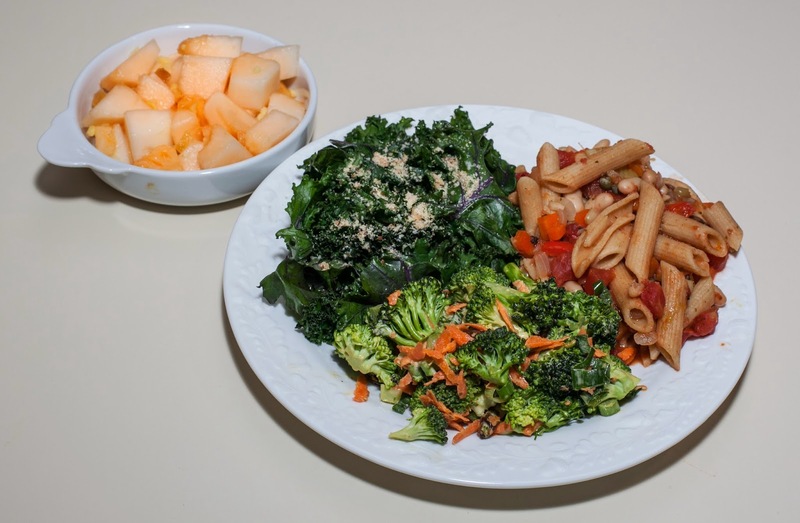 The kale was a real winner - just steamed but topped with a fabulous vegan "parmesan cheese" - equal amounts of almonds and nutritional yeast quickly blended with a little salt, onion powder, and garlic powder. It's great! I think I'm going to make the "parmesan" a staple in our kitchen and keep a supply on hand in the refrigerator. The melon had a little bit of ginger and a very little bit of cubed candied ginger mixed in. We loved the meal, as did my students when I prepared it for them! Though the "parmesan" had almonds, it amounted to so little fat (maybe 3 almonds per serving and each almond has about .6 grams of fat) that I would call this a no added fat meal). 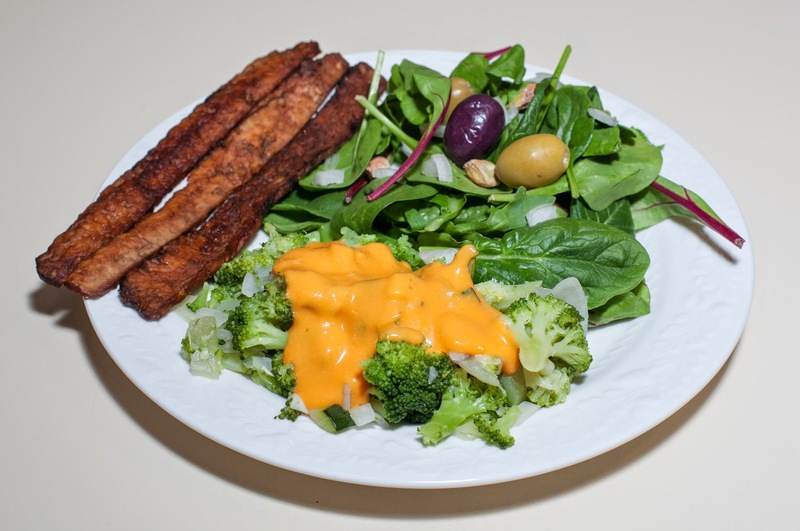 We don't use mayonnaise but the recipe in the curriculum called for vegan mayonnaise, which I used a small amount of. It is a little more fat than the almonds but still not much, so I'll call this an "almost" no added fat meal.